FlyingLinux started in October 1999 in the Telecommunication Systems Lab at Teleinformatics KTH (The Creature) with the objetive of studying the possibilty of using MobileIPv4 and standard DHCP wireless access for student labs. The result of that work was the FlyingLinux environment available for one hundred students and teachers during 12 weeks. The first Flying Linux infrastructure used Bambi as the core linux distribution. Bambi-6.1 included native support for WaveLAN/IEEE 802.11 PCMCIA cards, AFS and kerberos IV. As one of the results of the project course The FlyingLinux.NET developing team kept working in a new Linux Distribution now called FlyingLinux.NET – The Wireless Distribution – oriented to security in wireless environments and mobility. FlyingLinux is the first linux distribution oriented to mobility services. We have taken care of the security issues including Kerberos support and OpenSSH. 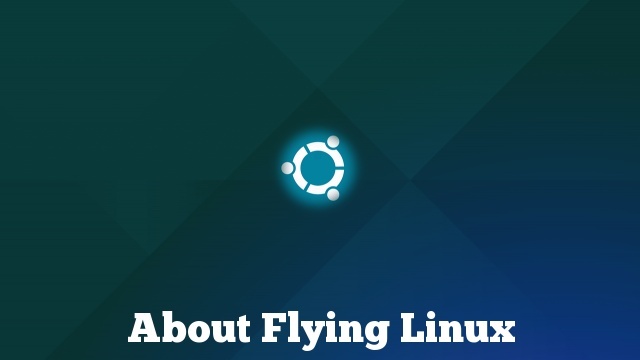 FlyingLinux is part of the Open Source movement. We have included software that have been developed at KTH under the GPL licence. FlyingLinux environment has been developed thanks to the support of the new IT University – KTH. polka: the Samba server, that allows windows users to access the AFS server. Currently, we are working in including MobileIPv6, Kerberos V, in the integration with Windows and extend the network to wireless systems. Hello and welcome to the world of Linux! This page is intended for Ubuntu first-time users. This section explains how to test and install Ubuntu. Do not worry – although Linux works differently than Windows, Linux is not harder to use. However, you have to learn a few new things, because Linux is not Windows. What is that? In the world of Linux, there are a number of terms that you should use to understand what Linux and free software are all about. 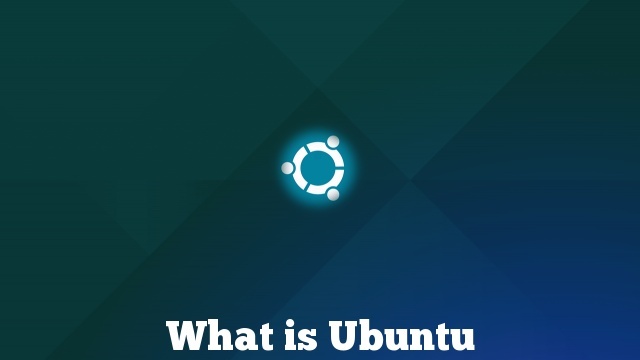 We will have posts about What is Linux and What is Ubuntu that will provide an overview of these terms. All of these variants are the same, but different user interfaces are used. In Ubuntu it was standard GNOME 2 up to version 10.10, and in the future the specially developed Unity will be used. Kubuntu uses the KDE software compilation, Xubuntu Xfce, Lubuntu LXDE, Ubuntu GNOME the GNOME shell, etc. In addition, different programs are partly installed. But the technology that hides behind the user interfaces is always the same, but it just looks a bit different. There are also special versions like Edubuntu for school application or a version for a server. This step should be avoided. Users typically need only one user interface (desktop environment), while server users do not have a graphical interface. Ubuntu is distributed worldwide. In Europe, we live on a high standard. The download of large files is cheap with the usual flat rate internet access, and almost every computer is equipped with a DVD drive. But in other parts of the world, it looks different: modern computers are rare. And this also applies to fast and inexpensive Internet connections. Can I use Ubuntu KDE programs? Yes. As already mentioned, Ubuntu and the different variants are one and the same distribution. For example, Under GNOME to use a KDE program like Amarok, you simply install the program. If you want to install another desktop environment, so does not counter. When logging on, the user can select which desktop environment to launch when multiple desktop environments are installed. Of course, you can also use server services under Ubuntu or a server installation later equipped with a graphical interface. How are the versions identified? A new version of Ubuntu appears every 6 months. This can be seen from the version number. So the versions are 6.06, 8.10, 12.04, 14.04 etc. The first digit stands for the year and the second for the month of the publication. Ubuntu 14.04 was released in April 2014, and Ubuntu 14.10 has been released in October 2014. In addition to this numbering, developers identify the different versions with animal names. Mark Shuttleworth chooses an English animal name with an adjective beginning with the same letter. The initial letters have been selected since 6.06 “Dapper Drake” in alphabetical order. The version 12.04 has got the name “Precise Pangolin” and is the 16th version of Ubuntu. Modern processors offer, among other things, “Broader” ways for internal data transmission. In the Linux world, amd64 or x86_64 is often used as an abbreviation – as opposed to i386 or x86 for 32-bit. If you have a 64-bit capable processor, you should generally make use of the various advantages. What is the right thing for me? Everyone has to decide for himself. Roughly said: Ubuntu as well as Kubuntu are comparable with other well-known operating systems particularly suitable, as regards the extent and the work comfort. Xubuntu and Lubuntu require a little less main memory, disk space, and processor capacity, making them especially suitable for low-performance computers. The live or desktop CDs can be put into any desktop environment. Ubuntu is an operating system for computers. 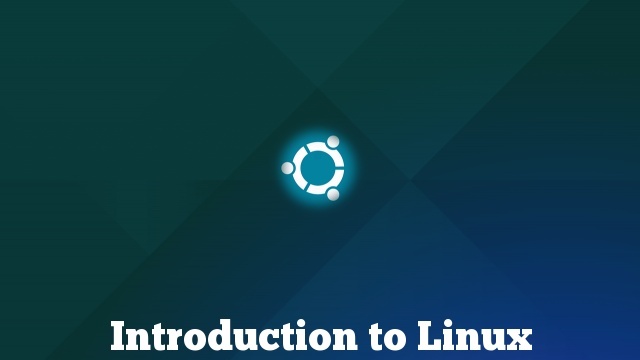 It is published by Canonical and is based on the software provided by the project “Debian / GNU Linux.” Also, Canonical offers commercial support to corporate customers and uses the free and versatile documentation and support of the community in the form of forums, mailing lists, and wikis. The word Ubuntu comes from an African language and means “humanity towards others.” It is “the belief in something universal that connects all mankind.” This concept is the foundation for collaboration in the Ubuntu community. We want or need to work together efficiently. “Ubuntu is very difficult to render into a Western language. It speaks of the very essence of being human. When we want to give high praise to someone we say, ‘Yu, u nobunto’; ‘Hey so-and-so hasubuntu.’ Then you are generous, you are hospitable, you are friendly and caring and compassionate. You share what you have. It is to say, ‘My humanity is inextricably bound up in yours.’ We belong in a bundle of life.” – Desmond Tutu, No Future Without Forgiveness. The Ubuntu name was chosen for a Linux distribution because we believe that it meets the basic ideas of sharing and cooperating perfectly, which are so important for the open source movement. In the world of free software, we work together voluntarily to create software that benefits everyone. We improve the works of others we have received freely and share our extensions on the same basis with others. Every co-operation needs behavioral rules. The Ubuntu behavior rules should ensure a productive and happy relationship. Our work on Ubuntu is supported by an understanding of the freedom of software, which we hope will spread and bring the benefits of software application to all parts of the world. Any user of a computer should be able to use, copy, distribute, or understand a program for any purpose, understand, modify and improve without paying royalties. Every user of a computer should have the possibility to use his programs in a language of his choice. Every user of a computer should have all the options to use their programs, even in the case of a disability. Our beliefs are incorporated into the programs we have written and incorporated into our distribution. Thus, the license terms of the programs we distribute are measured against these beliefs using the Ubuntu Software License Guidelines. When you install Ubuntu, almost all programs already meet these requirements, and we work to make sure that any program you need is available under license terms that grant you these freedoms. Currently, there are specific exceptions for some drivers that are only available in binary form without the Ubuntu installed on some machines. We have put them in the restricted area of our system, where they can be easily removed if you do not need them. We do not charge anything for Ubuntu and it stays the same. Above all, “free software” means the freedom of those who use or further develop it. These freedoms allow the Ubuntu community to grow and share their common experience and knowledge to improve Ubuntu and adapt it for use in new countries and industries. The freedom to use the program for any purpose. The freedom to understand how the program works and how to adapt it to its needs. The freedom to spread copies so that you can help your neighbor. The freedom to improve the program and make the improvements available to the public so that the whole community can benefit from it. The social movement for free software has been around for more than two decades. This movement has produced millions of code lines, documentation and a dynamic community, to which Ubuntu is proudly adding. More about this is available at gnu.org. Open source software is a term that was coined in 1998 to eliminate the ambiguity of the English word free. The Open Source Initiative describes open source software. Open source software is constantly growing success and broad perception. Ubuntu is a popular source of software. While some free and source-based software has different objectives, we consider free and open source software as neither mutually exclusive nor incompatible. Ubuntu has a lot of members who are either part of the “free software” bandwagon or the “open source software”, and many who identify with both. In the arena of web hosting, two operating systems have established themselves on the market. Web hosting providers use either the open source system Linux or the proprietary Windows Server operating system from Microsoft to operate their servers. From this comes that the first decision that customers have to make when ordering a web space package is the choice between a Linux or Windows Webhosting. On the one hand, we have the open source system Linux, which is available in numerous distributions such as Debian, CentOS or Ubuntu, and on the other hand, the Microsoft Windows Server operating system, which is, however, linked to a license that you have to pay for. While some vendors have specialized in a particular type of hosting, other web hosts offer their customers both variants. An example of Linux hosting is A2hosting. Hosting Manual presents excellently what can you expect from a Linux web host. Generally speaking, customers are often confused when looking for the right web hosting package and do not know which of the two operating system variants is the right one. It does not matter which system you have at home because all devices can be connected without problems. It is also not important which system one knows better since the administration of a web hosting account is taken over by the hosting provider. A customer has no influence on the operating system level (unless it’s a VPS or a dedicated server). It is therefore not necessary to work directly in the operating system. Differences between Linux and Windows have to be considered only for very specific projects that require specific scripting languages or tools for operation. Linux was developed by the Finnish programmer Linus Torvalds and has been available since 1992 under GNU General Public License as free software with open source code. Thanks to the modular design of the system, Linux can be individually expanded and adapted exactly to your own needs. The operating system is primarily used in the server area, above all due to the reliability, stability, and performance. Linux is ideally suited as a web server environment, mainly using the Apache or Nginx software. With the perfect support of scripting languages such as PHP, Python, Perl or CGI, as well as the use of database systems such as MySQL or PostgreSQL, all online projects can be implemented from a small private website to professional online shop systems. Many open source applications are also available for Linux web hosting, including content management systems and e-commerce solutions. The configuration of the hosting package can be configured by the customer via an integrated management software such as cPanel or Confixx. Since no license fees are incurred (for the operating system), Linux Webhosting packages are usually offered at a lower price. The Windows operating system, developed by Microsoft, was released in 1993 for the first time in a separate version optimized for use on server systems. Since then, the software has been continuously developed and regularly released new versions. All Microsoft Windows Server systems are proprietary software. Unlike Linux, the source code is not public and there are license fees for the use of the system. A special feature of the Windows Server operating system is that it is possible to drag and drop administrative tasks via the Net Framework and SharePoint. In addition, the system is required for special windows-specific applications such as ASP, VBScript or .NET. In addition to the widely used database systems such as MySQL or PostgreSQL, Windows Webhosting also supports MSSQL and Microsoft Access databases. As a web server Microsoft’s IIS Server is used for the configuration of the hosting package. Users can use special management interfaces such as Plesk. Because of the incurring license costs, Windows web hosting is usually somewhat more expensive than a comparable Linux package. When deciding between a Linux or Windows web hosting, it depends on the planned web project. Both systems are powerful and fulfill your purpose when it comes to hosting a simple website. Customers can easily upload their data to the web space via FTP using both systems. Security and stability are also ensured by a Linux as well as by a Windows, which in both cases takes care of the administration of the server. 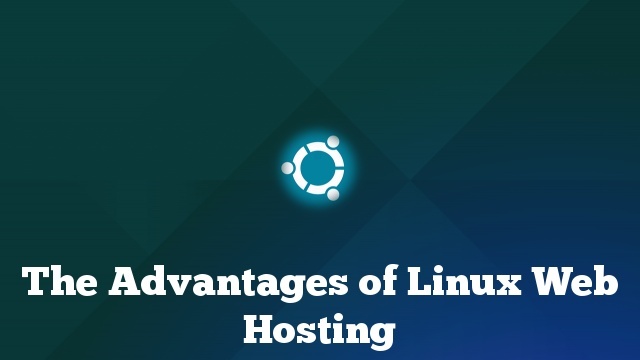 Basically, it is recommended to use Linux hosting if you want to create a website using classic open source applications such as the blog platform WordPress or the content management system Joomla. Linux Hosting is also the first choice for the creation of community forums or online shops. Only for online projects which require a Microsoft environment in the form of ASP, .NET or MSSQL database, must a Windows web hosting be selected. Stay with us while we are working on a new design for this website!